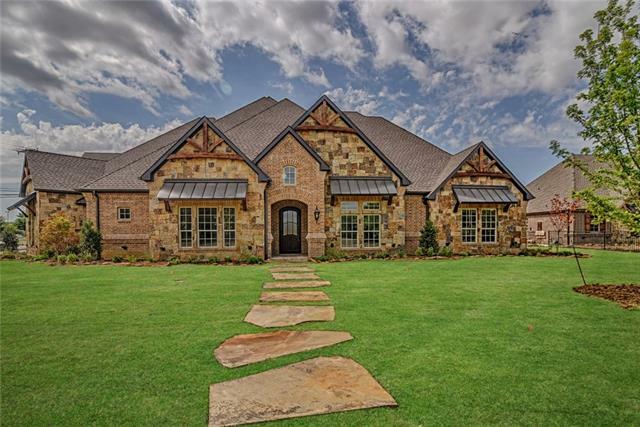 All Mansfield homes currently listed for sale in Mansfield as of 04/20/2019 are shown below. You can change the search criteria at any time by pressing the 'Change Search' button below. 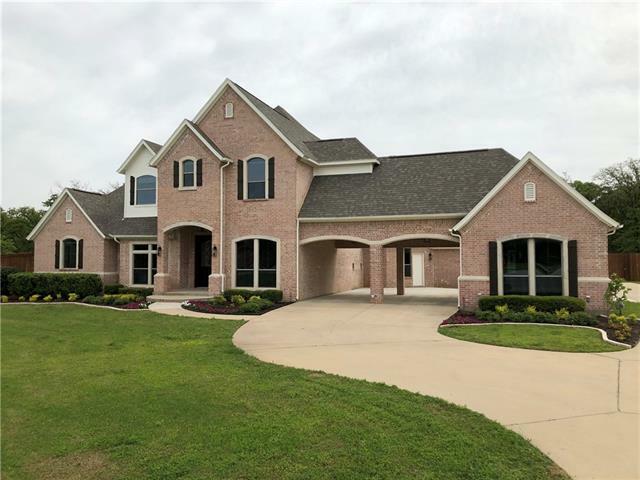 If you have any questions or you would like more information about any Mansfield homes for sale or other Mansfield real estate, please contact us and one of our knowledgeable Mansfield REALTORS® would be pleased to assist you. 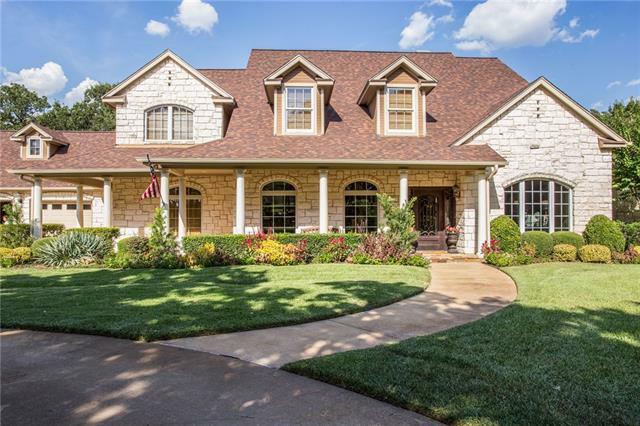 "Exquisite traditional all stone custom built home sits on approximately 43 rolling acres located right outside of Mansfield City limits. Exceptional craftsmanship throughout showcasing a double floating staircase with handmade iron balustrades and travertine treads and carved marble fireplaces. Expanded formal area ideal for entertaining, open concept kitchen with island and granite counters. Guest room and Master suite down with spa-like bath boast a separate shower, vanities, safe room and "
"15 Acres in Mansfield, 10 minutes to all your shopping needs , 20 minutes to downtown Ft Worth Everything you could dream of , A boarding equestrian facility, has the capacity for 64 horses, 48 horse barn with stalls ,14 horse outside paddocks with income potential up to $25,000.00 a month! 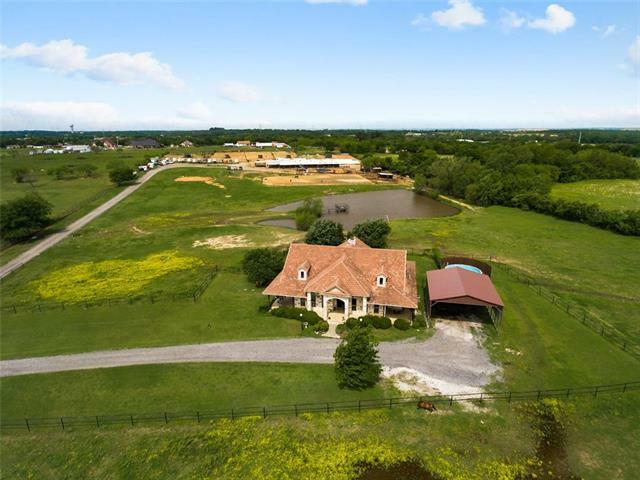 An established 15 yr business negotiable if desired 1 acre pond with aquatic therapy , outside arena with lights,round pen custom built 2 bedroom home with bonus room upstairs that can be converted to"
"Buyer Financing Fell Thru! 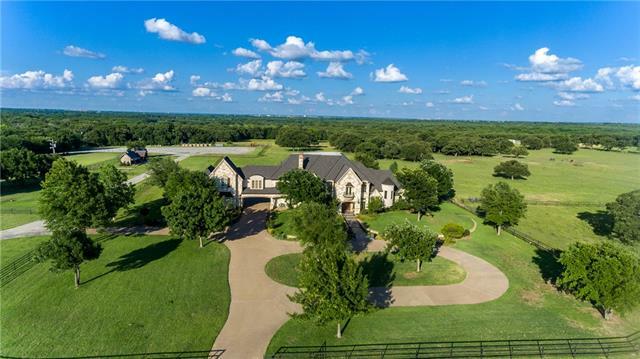 Executive country Estate on almost 8 acres.This exquisite home has a circle gated drive,ponds,tons of trees & situated on a cul de sac.Upon entry you are greeted by a grand foyer,formal dining & winding staircase. The kitchen is large with commercial gas stove & oven,built in fridge,wine cooler,pot filler & much more.Large living area flows great for entertaining & opens onto large patio with pool & outdoor area with kitchen.Master is a large suite with fireplace overl"
"Situated in the middle of 10.54 acres, surrounded by trees, this luxury is totally PRIVATE! 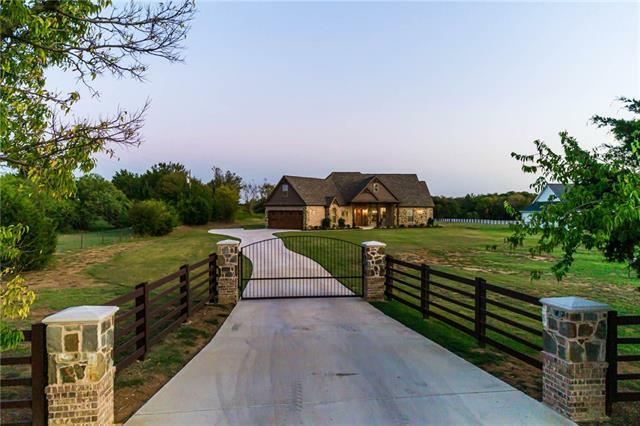 Pull down a winding, gated drive to an ELEGANT, beautifully landscaped country estate with circle drive. Entry has sweeping curved staircase. 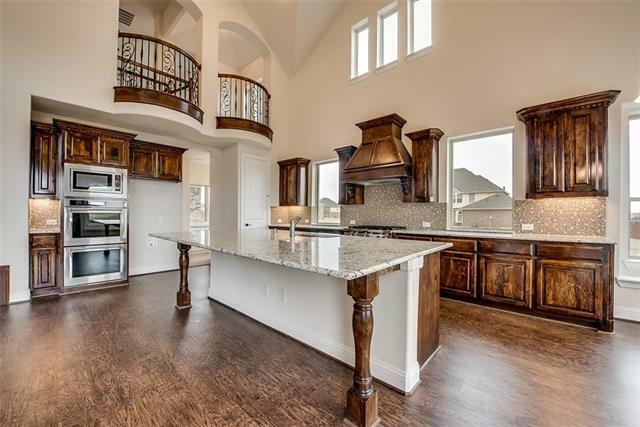 Large Chef kitchen has HUGE island with gorgeous views all around. Coffee bar, wine fridge and wine rack. Soaring windows show as much of the backyard and natural light as possible. Beautiful builtins to showcase your collections. Massive den with bar area and firep"
"New Construction by Boyd Custom Homes, this award winning home has 5600 sq ft of exquisite living space with 5+ bedrooms ( master plus bed 2 down) large flex room down, chef kitchen open to oversize living. The master bath and closet are complete luxury with the finest Vanderbilt inspired details. Premium epoxy flooring in oversize 3 car garage. Game room and bonus room up. Smart home automation, amazing designer lighting . Large outdoor kitchen and oversize patio is perfect for entertaining. " "This is it! Looking for a secluded retreat for your horses but close to town? This property on 30 acres features a creek on the property. 13-large stall barn w tack room, palp chute & space for hay storage! Sandy loam soil is ideal for horses & there is pipe fencing in place (although some needs a little attention). Bring your imagination to view this one, it is ready for it's new owners & continued legacy! No value attributed to the home although the home is livable, it does need some TLC. 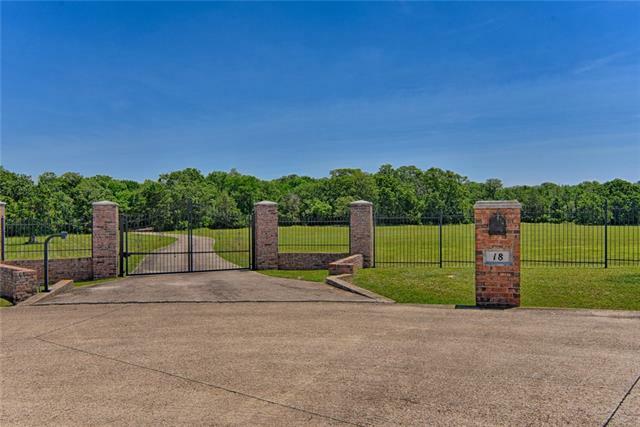 Rar"
"A MUST SEE ELEGANT MANICURED ACREAGE RIGHT IN THE HEART OF MANSFIELD. ENJOY THIS BEAUTIFUL FAMILY HOME WITH A GREAT ROOM W 30'CEILINGS LOOKING OVER HUGE POOL AND BEAUTIFUL POND WITH WATER FEATURE THAT OFFERS YOU A PARKLIKE ATMOSPHERE. HOME OFFERS A LARGE DINING AREA WITH BUILT IN SHOWCASE CABINETS .OPEN CONCEPT KITCHEN WITH SUB ZERO REFRIG & FREEZER. CUSTOM CABINETS & UPGRADED STAINLESS APPLIANCES*NEWLY REMODELED KITCHEN W 2 DISHWASHERS, ICE MAKER, & BEVERAGE COOLER. HUGE MEDIA ROOM WITH 120 IN"
"Build with BOYD CUSTOM HOMES. Model at 1105 Knoll Crest, Mansfield. Boyd is renowned for high luxury finish-out & designs. Most designs have large outdoor living areas, smart home technology, open and spacious living, chef kitchen with large island, large bedrooms, media and exercise room. Ask about other lots! Build your Dream home today with a custom floor plan designed perfectly for you!" "Your chance to live in exclusive Knightsbridge, gated community tucked away in desirable Mansfield. This home has an abundance of high end features; fully wired media room on the 1st floor, spiral staircase, double staircase, wine grotto, gourmet kitchen with 48 inch cooktop and potfiller, double ovens, walk in pantry and large outdoor living space. This home has so much to offer. Don't miss out on your dream home!" 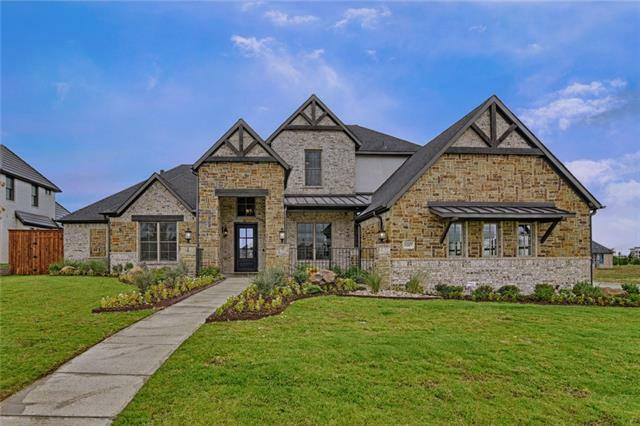 "MCH model for sale in gated South Pointe, specialty ceilings, exquisite trim work, hand texture, gorgeous lighting, 4-4.1-3 with 2 fireplaces, outdoor kitchen. Gorgeouse details throughout. A floor plan you cannot beat!" 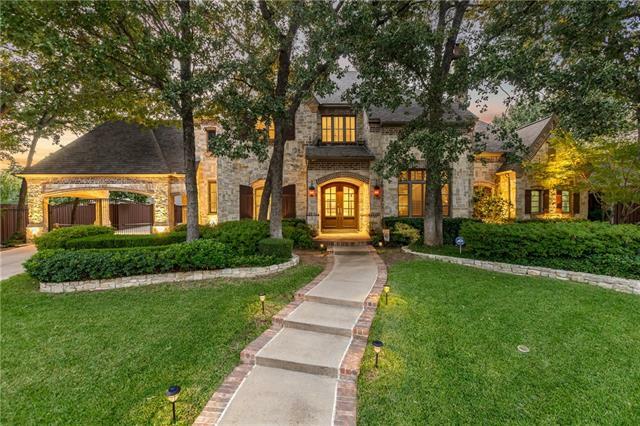 "Gorgeous custom built home perched on 2 acre corner lot in desirable Oaks at Hilltop Ranch. 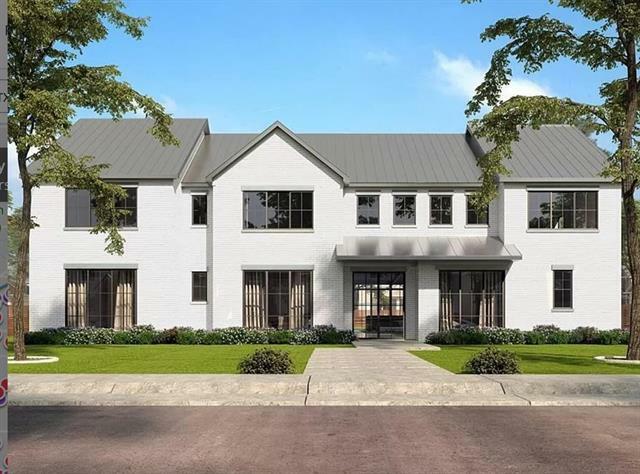 This home features hand scraped hardwood floors, 12' ceilings, plantation shutters, granite counters, wood beams, interior stone accents, workshop and the list goes on! The gallery kitchen is a chef's dream with abundant cabinet and counter space, built in refrigerator, dual sinks and more. Must see to appreciate all the added amenities throughout the home. Primary single level with media or fourth bedroo"
"Incredible Custom Home built in exclusive Strawberry Fields.This beautiful home is situated on a cul-de-sac and just under 1 acre. Master is downstairs along with a Mother-in-law suite, also boast of a media room and a game room that over looks private water fountain. Hand scrapped hardwoods, knotty aider cabinets, granite and SS appliances. Big covered patio and outdoor living with a fireplace. Electric gated drive with surveillance system. Don't let this one pass by!" "Welcome Home. Luxury, comfort & privacy surround this exceptional custom home located in the sought after gated community within the Arbors of Creekwood. Home showcases porte-cochere, multiple staircases, plantation shutters, beautiful wood floors, exercise room & extensive update of interior paint, impressive gourmet kitchen with gas range, stainless appliances, island, granite counters, & sub-zero fridge. Master suite located downstairs with spalike bath offering dual vanities, jetted tub & se"
"HARD TO FIND LOT! 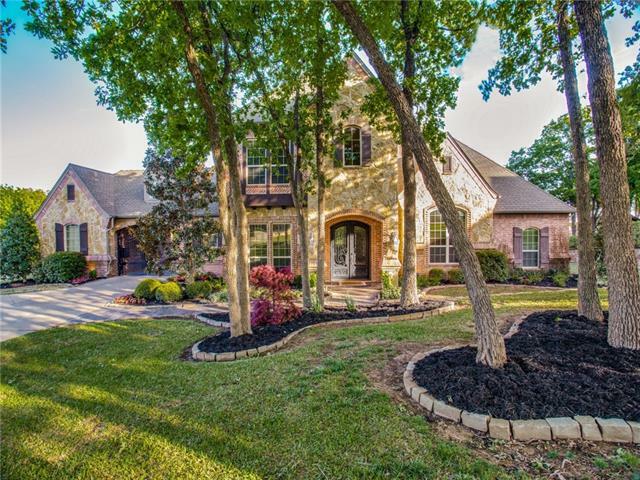 This beautiful custom home sits on over half an acre in the heart of Mansfield. 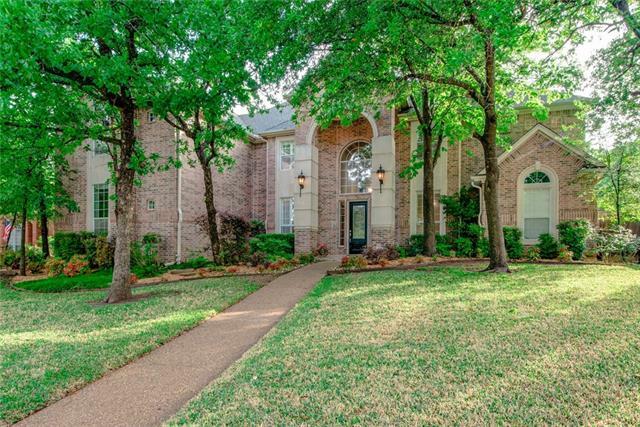 Close to shopping, schools and easy access to both 360 and 287. Open concept living perfect for entertaining. Kitchen includes granite island overlooking living area, double oven, 6 burner gas stove top, pot filler, farm sink and cabinets galore. Master suite with gorgeous bathroom, separate vanities, oversized shower and tub. Master closet is a dream. 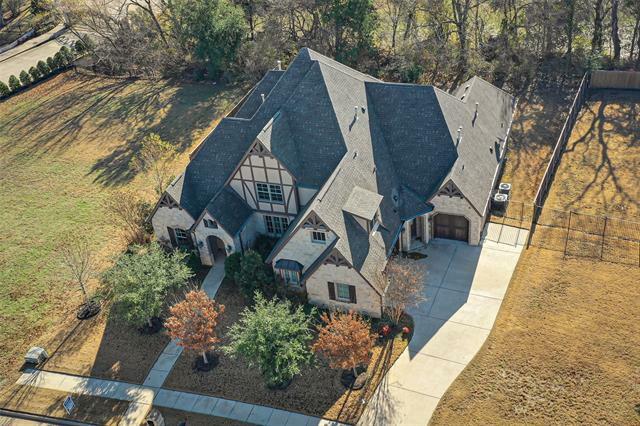 Large bedrooms throughout each include walk i"
"The perfect horse property located on 5 acres in Mansfield ISD! Highlights include beautiful mature trees all around the property, an automatic gated entrance, a circle driveway, $20k in new energy efficient windows, vaulted ceilings with wood beams, granite countertops throughout, a 6-burner gas cooktop, stainless steel appliances, 3 fireplaces, a separate laundry area with a sink, & much more! Relax in your in-ground pool, all of which overlook the pasture & red barn. 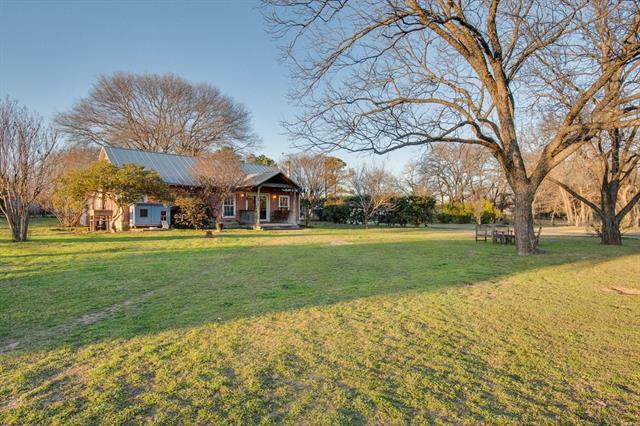 The insulated barn featur"
"FABULOUS PROPERTY - AWESOME HOME - MANSFIELD ISD - POND AND ACREAGE!!! ENTER AND FIND OPEN CONCEPT, BEAUTIFUL WOOD FLOORS, NEUTRAL PAINT, ARCHED DOORWAYS AND COMPLETELY MOVE IN READY. CHEFS KITCHEN HAS DOUBLE OVENS, AN ABUNDANCE OF COUNTER AND CABINET SPACE, AN ISLAND AND A BUTLERS PANTRY. THE SECOND LIVING IS SURROUNDED BY WINDOWS ALLOWING FOR A TON OF NATURAL LIGHT TO BRIGHTEN THE SPACE. BUILT IN SHELVING AND DESK IN THE STUDY. STUDY AND 2ND LIVING COULD BE 4TH , 5TH BEDROOM. GRANITE DOUBLE "
"Newly updated, luxurious, one owner custom built house secluded for privacy yet located close to all major roads and schools in the gated community of the Estates of Creekwood. Home has a breathtaking chefs kitchen, complete with a 4 burner gas stove, stainless steel appliances and two pantries for storage. The exquisite crown molding helps highlight the shape of each room and hallway. The master retreat is set up on its own heating and AC system and has a newly renovated private beverage bar, f"
"Exclusive gated community of Hilltop Ranch, resides this stunning 4 bed, 3.5 bath, 3-car garage w 4th car porte-cochere gated driveway on the prettiest lot full of oak trees in front w a big beautiful oak in back just beyond the sparkling pool! Statement entry spiral staircase w temp controlled wine rm underneath! Master suite, beds 2 & 3 are on the 1st flr. Half bath access to pool. Upstairs lrg 2nd living w butler's working wet bar + balcony views, along w guest suite, full bath & walk-out att"
"Beautifully landscaped, completely updated Tuscany Valley home nestled on 1.5 acres. Has open concept floorplan and gorgeous wooden staircase. It features 6 bedrooms, 5.5 baths, mother-in-law suite with full bath. The luxurious master bath offers huge shower and jetted tub with two vanities. Home has game and media rooms, and wet bar. Has oversized 4 car garage and 2 carports. 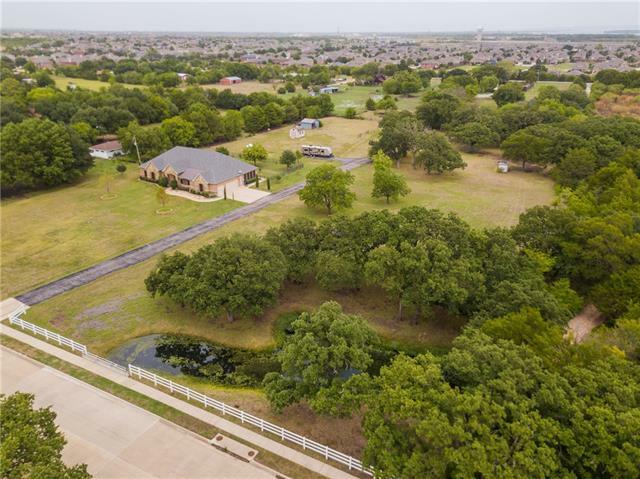 All new premium roof, new wood, porcelain and carpeted flooring, fresh paint, new stainless appliances and new fi"
"Nice Ranch home on 26.24 acres, across the street from the Mansfield City Limits. So, easy access to all the city has to offer, without the City Taxes. Interior recently repainted and Exterior wood stained. Master has Double Baths. The Living Room is nicely finished out with stained wood, top to bottom. 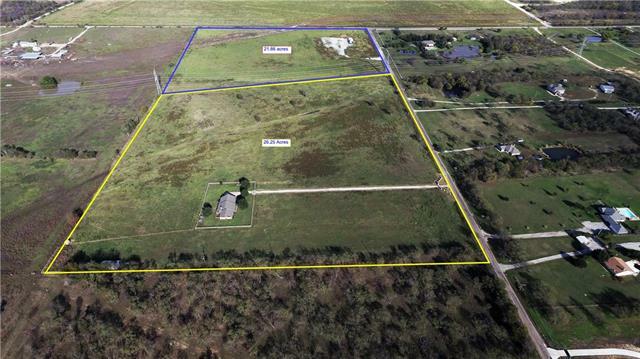 Additional 21 acres available, MLS #13971210 (21 acres for $450,000). Pipe fencing surrounds the homeplace along with a Pipe Wagon Wheel gate entry." 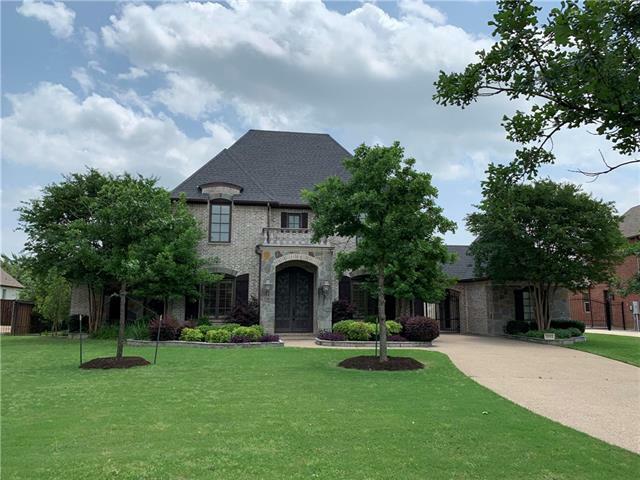 "Stunning Double Master Suite home with 3 car garage, wine grotto or man cave with 2 sided fireplace, huge vaulted family room, gameroom, media room, work out room or reading nook, study and home management center. Tons of custom features including 4 fireplaces & ready to move into NOW! Covered back patio open to large backyard. 2 staircases - Huge master bedroom downstairs AND huge master bedroom upstairs!! Chef's kitchen has maple cabinetry, granite slab tops, 6 burner gas cooktop, double ov"
"BEAUTIFUL NEW HOME WITH ACREAGE! New build and in completion phase! 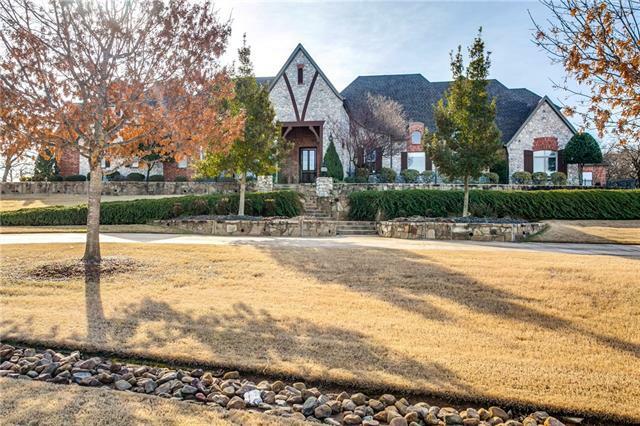 Beautiful custom built home that is located on 2 and a half acres, in MANSFIELD ISD located in Jo. Co. so taxes are less! 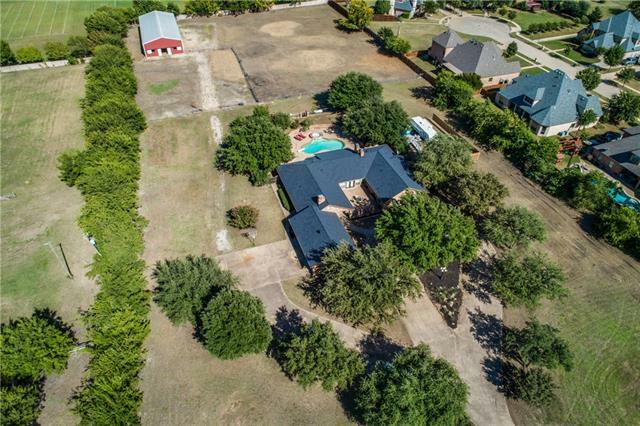 This 3 BR, 5 bath, with office or study, gameroom or another BR, with 2 FP, one outside under a large covered patio area over looking land is a must see to feel the privacy and beauty of the country! No zoning so one could build a guest house, MIL quarters, work shop, barn, arena, stables, etc. Location i"